Running out of neighbors and co-workers to pawn your excess summer squash off on? Get it off your countertop by . 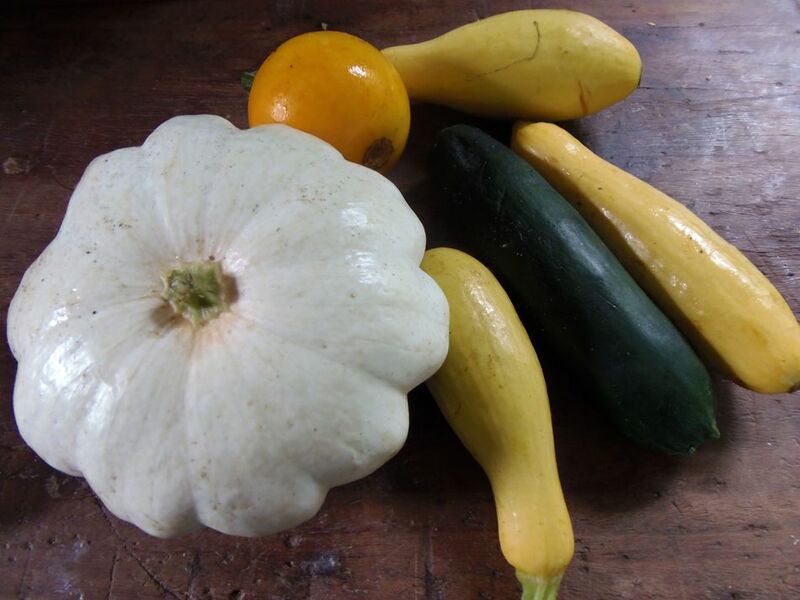 These instructions work for all types of summer squash – zucchini, pattypan/scallop, crookneck and straightneck. For the best results, try to get your squash in the freezer as soon after picking as you can, and only use squash that is in good condition. If you freeze overripe, bruised squash, it'll still be overripe, bruised squash when you thaw it out later. Wash your squash well. A vegetable brush makes quick work of cleaning off any garden dirt. Once all of your squash is clean, cut off both ends. Then, cut the squash into one-half to one-inch thick pieces. You can cut them into slices or chunks, whichever you think will work best for you later. There's no need to remove the skins or seeds (unless you just want to)—. Now, blanch your summer squash by submerging it in a pot of boiling water for three minutes. This will stop the enzyme process, so your squash retains its beautiful color and flavor. If you have a lot of squash, blanch it in batches. If you try to do too much at once, the squash will lower the temperature of the water, and you won't achieve the desired effect. Once the three minutes is up, transfer the squash over to a bowl of ice water to stop the cooking process. If you use a slotted spoon to remove your squash from the pot, you can continue to use the boiling water for additional batches. Allow your squash to cool; then, drop it into a freezer bag, and pop it in the freezer. If you prefer, you can also flash freeze your squash on a sheet before bagging it. This will ensure that each piece freezes individually, so you can easily reach into a bag and grab just what you need for a recipe. A vacuum sealer can also be used to package your squash. If you have one, it's a great way to and extend the life of your frozen foods. Allow your squash to thaw in the fridge, or toss it right into a pot of soup or a hot pan while it's still frozen. It'll thaw and cook quickly, so there's really no need to thaw it first. Just remember: Frozen summer squash will have a mushier texture than fresh summer squash, so it's best to incorporate it into a recipe. You'll be pretty disappointed if you try to eat it raw.